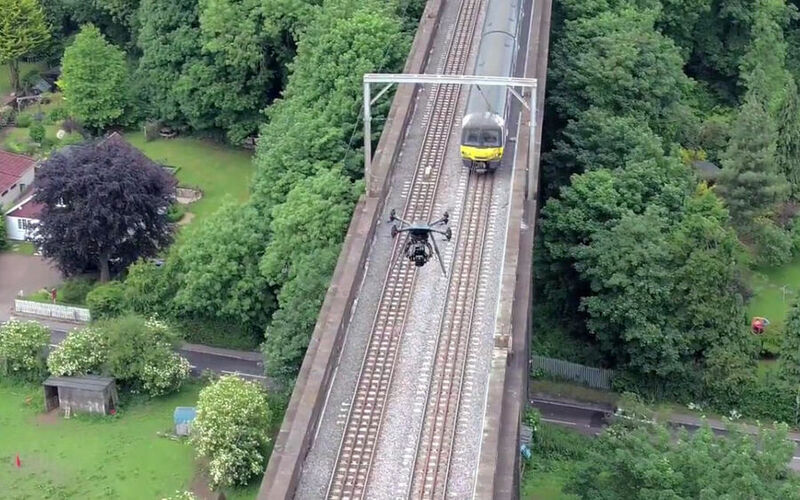 A desire to avoid the need for track possessions has driven one surveying company to develop a highly accurate drone-based system that could change how rail infrastructure surveys are carried out. Plowman Craven believes it has come up with a solution: using an unmanned aerial vehicle (UAV) fitted with a high-resolution camera. The firm claims that the levels of accuracy it is achieving are unmatched by anyone else in the world.